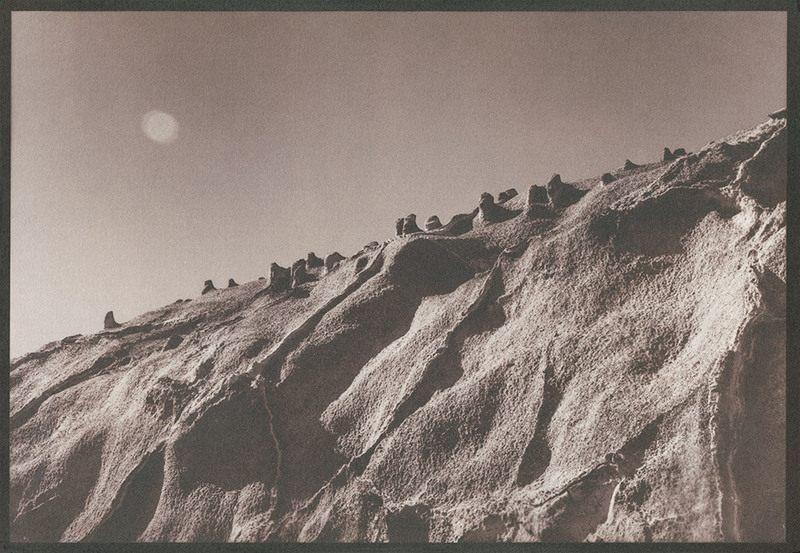 A Crystalline World (2017) is a series of unique photographic salt prints that engage with the history of industrial salt extraction and the geological time of an ancient inland sea. The salt functioning as sensor, image and material ground for the work. 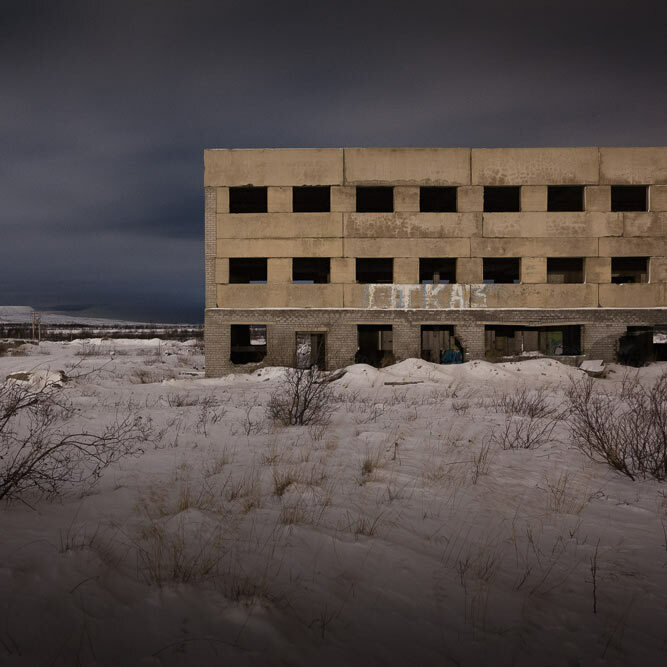 Much of Nightingale’s work is informed by an interest in a notion of “cinematic seeing” – that is, the way that cinema might inform/ form an image and provide a means to engage deeply with a specific site. A Crystalline World, is a series of photographic salt prints that present a world that could easily be a cinematic lunarscape or an ancient or alien future land depicted in science fiction. 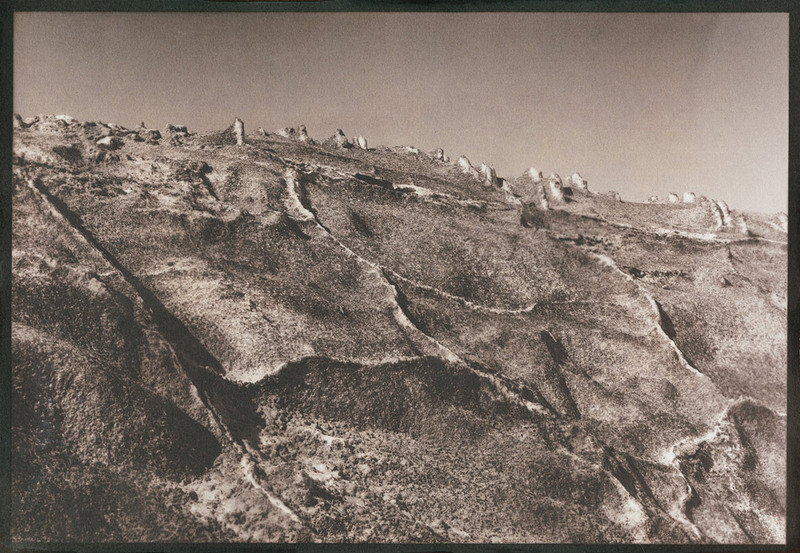 The prints are produced in a process in which Nightingale uses salt collected from a disused salt mine on the banks of a salt lake in the Mallee (a semi-arid region in Victoria, Australia) to print his photographs of this same site. 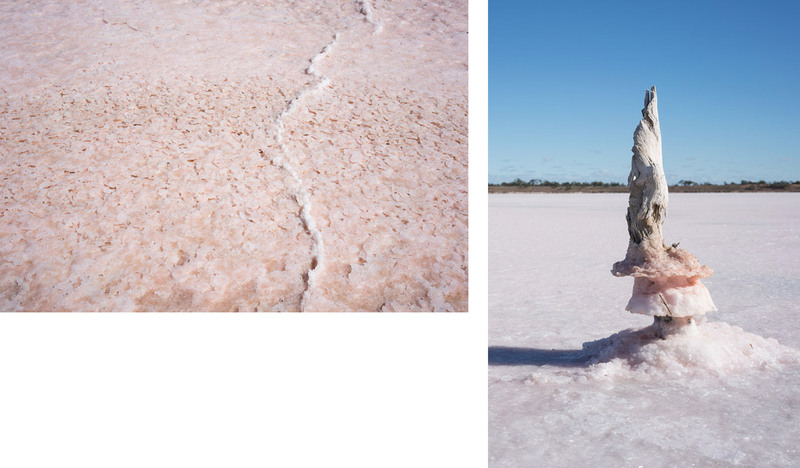 This process, engaging with the “deep-time” of the Mallee (an ancient inland sea), folds the image of the site and the material of the site together so that are completely entangled – the photographic image of the salt stacks or formations is possible only due to the salt collected from the same area. 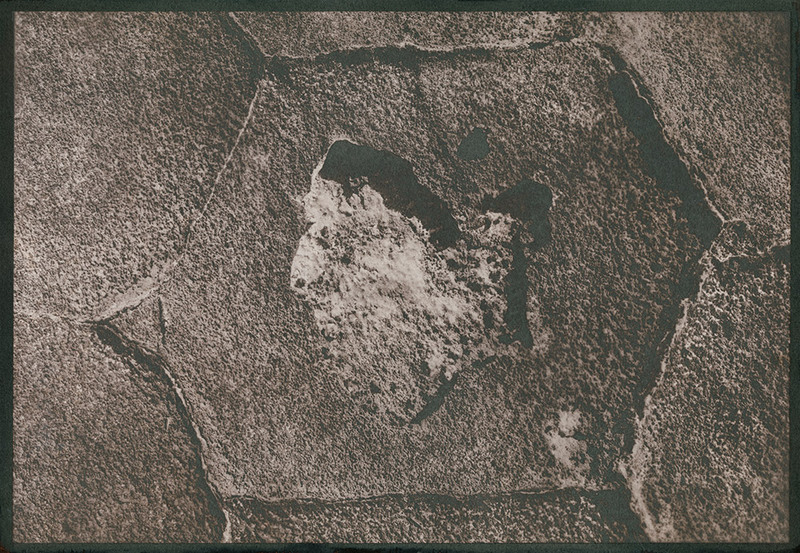 In this way, the salt is both image and the ground or support for the image (in all senses) – the salt being both the subject and the material means through which the image is printed (and becomes visible). The one-time salt harvesting industry that took place at the salt lake also created a ready-made audience for Nulty’s Pictures, a pioneering cinema family who ran a traveling picture show circuit during the early twentieth-century, who visited the workers at the near-by settlement Linga. Nightingale in making these images is also mapping the spectral ecologies of the Mallee through the idea of the ‘cinematic’, in which he traces the history of cinema technology and its reception as a way to see, experience and engage with the region. This experimental practice of cinematic cartography is further explored in Spectral Ecologies, a collaborative research project and exhibition (with Bridget Crone and Polly Stanton). 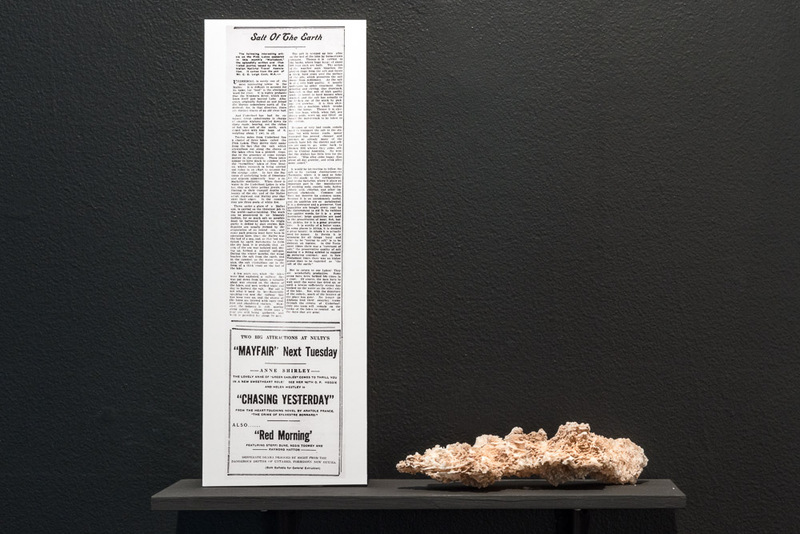 Left: 'Salt of the Earth', newspaper reporting on the hardships of the salt-harvesting taking at the Pink Lakes and below it an advert for Nulty's Pictures (1936). Right: Salt formation from Pink Lakes. 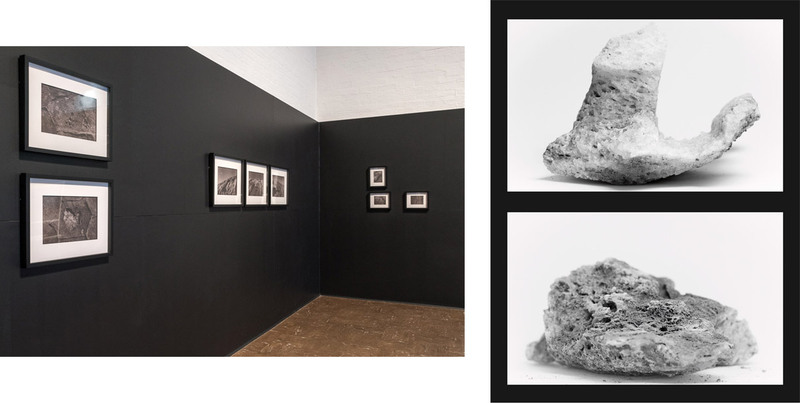 Installation view Spectral Ecologies, Mildura Arts Centre, Australia 2017. 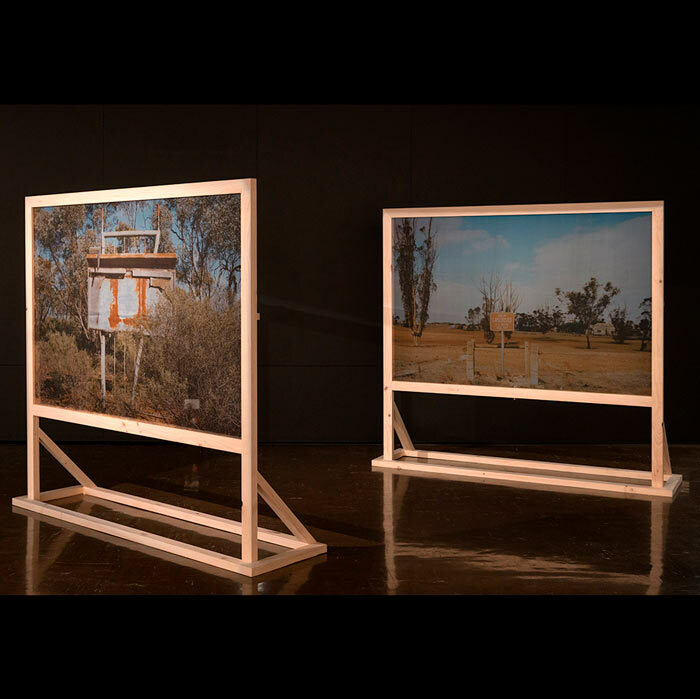 Left: Installation view Spectral Ecologies, Mildura Arts Centre, Australia, 2017. 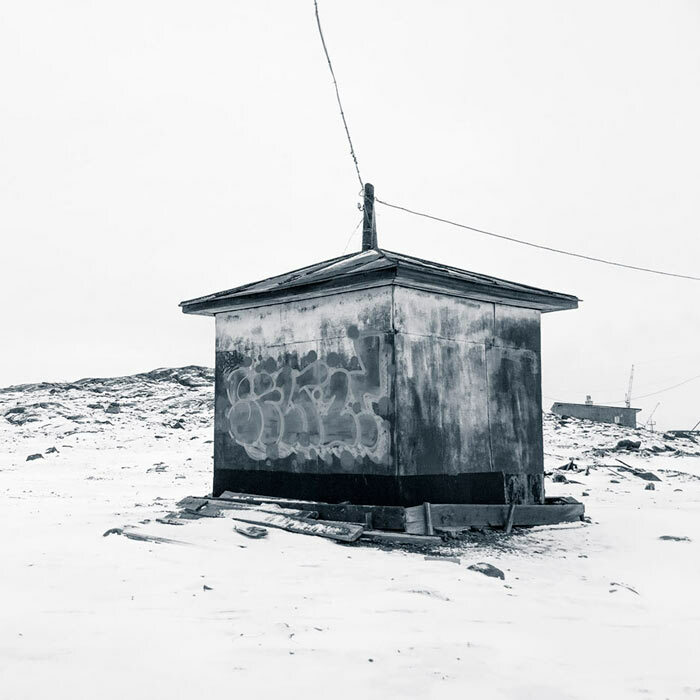 Right: Big Salt (NaCI), 2017. Matters of scale, photographs of the salt formations before they were ground down to make the salt prints for A Crystalline World. 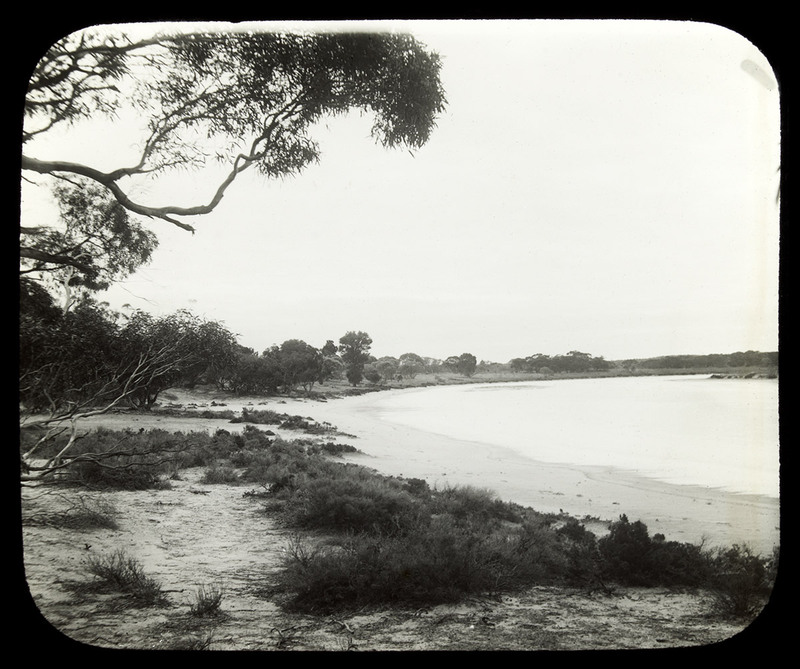 Left: Mallee Salt Lake, glass lantern slide, 8.5 x 8.5 cm, cir. 1915. 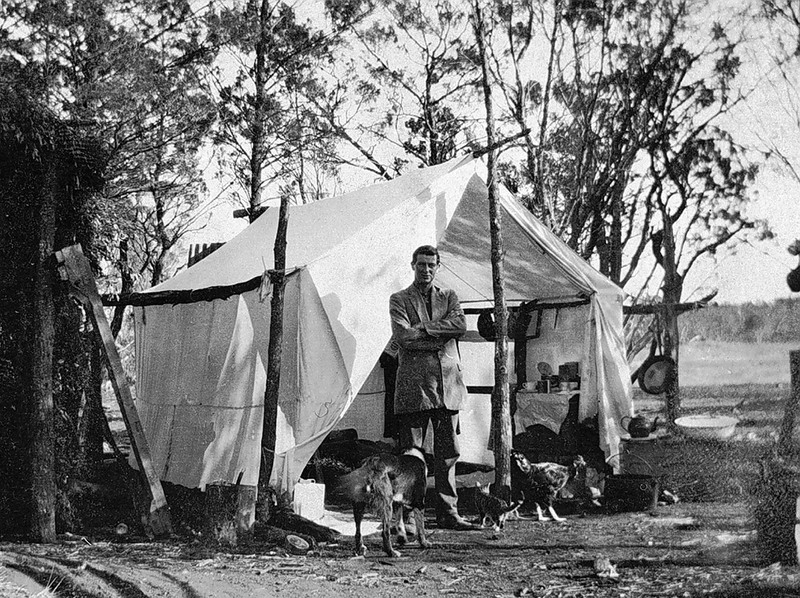 Rural Water Corporation collection, State Library Victoria Right: Camp at Linga, cir. 1916. Melbourne Museum collection. Salt printing is one of the earliest forms of photographic print making and is a process by which the salt is ground and used to coat the photographic paper before reacting with the silver nitrate and the power of sunlight, which enable a photographic negative to be transmitted to the paper.